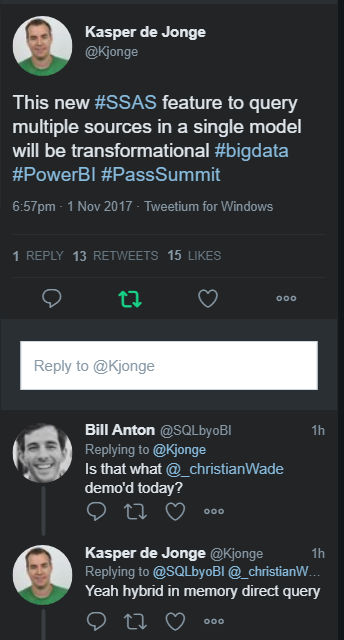 There haven’t been any really big BI announcements at the PASS Summit this year – I guess we get so much amazing new stuff every month with Power BI that there’s no need to make ‘big’ announcements at conferences any more. However there have been several cool new features unveiled that I thought it would be good to highlight. Of course this is all scriptable too, so if you know you need to have to handle more users on a Monday morning you can scale-out appropriately and then when the rush is over you can reduce the number of query replicas and pay less. The blog post highlights the fact that you can connect to SSRS shared datasets via OData – which is basically what I was talking about here. Something that was going to be demoed – but the demo failed so we didn’t see it – was the promised integration between PowerApps and Power BI. Apparently this will be released soon. This full-day session will teach you everything you need to know about loading data into Power BI or Excel; it’s specifically focussed on self-service BI scenarios, but if you want to learn M for SSAS 2017 you might find some of what I cover useful too. Topics covered include using the UI to build queries; using parameters and functions; the M language; data privacy settings; and creating custom data connectors. I hope to see you there! Are You Going To PASS Summit 2015? I Need Your Help! If you’ve been to PASS Summit before, you know that social media channels such as Twitter go wild during the keynote speeches. Many people comment on what’s being said: Some comments are positive, some … not so positive. How can you make sense of it all? 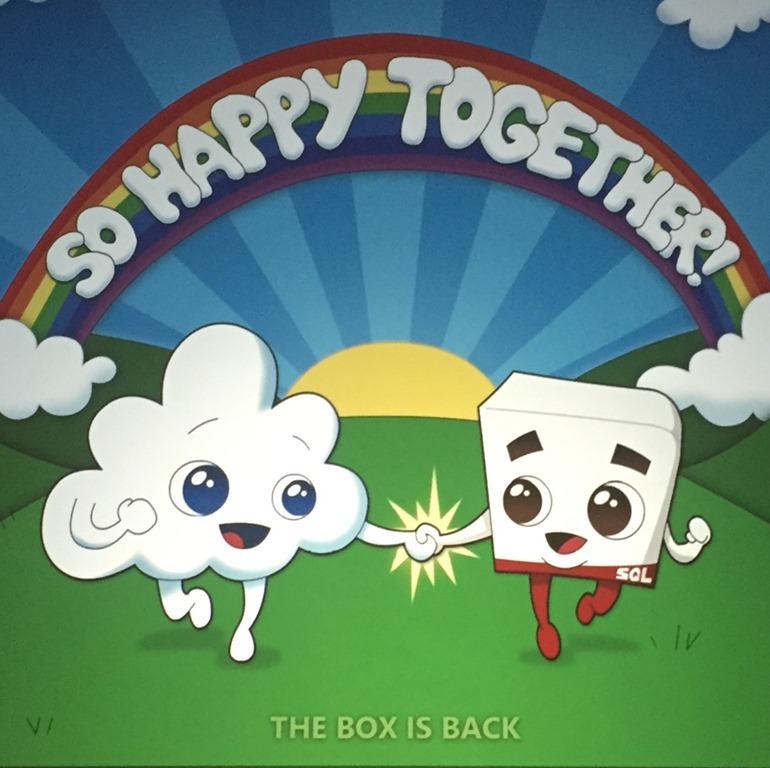 Which announcements did attendees like and which ones didn’t they like? When were the attendees engaged and when were they bored? Who are the thought-leaders in the SQL Server community? Do DBAs behave differently from BI pros? * Use Bing Pulse to capture real-time audience feedback during the keynote. * Use Power BI to analyze data from Bing Pulse, Twitter, and other social media sources. * Use NodeXL to perform network analysis on Twitter data. * Use Azure Machine Learning to perform sentiment analysis. As you can see, a important part of this session involves using Bing Pulse (I blogged about it here) to capture feedback on the session as it happens. And this is where I need your help. It won’t involve much effort, I promise, nothing more than a few clicks throughout the keynote. Your individual opinions will remain private. However I do need to sign up as many people as possible from all parts of the SQL Server Family – DBAs and developers as well as BI Pros – so I can get as much data as possible, and so get some interesting insights into what you’re all thinking.